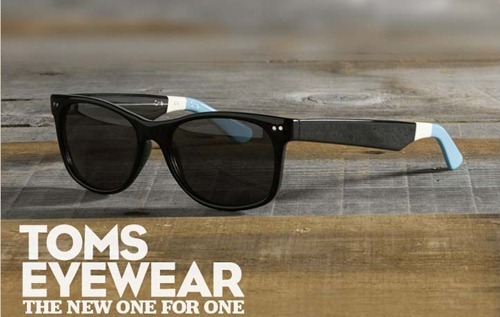 TOMS Shoes is branching out into eyewear – check out the original three sunglasses here. TOMS recently announced the latest venture for their philanthropic company: eyewear. However, now TOMS has teamed up with the Seva Foundation to create a program that will give the gift of sight. For every pair of TOMS eyewear that is purchased, the company will aid a visually-impaired person in need. Each donation will be tailor-made for the recipient, whether they need prescription eyeglasses, medical treatment or a sight-saving surgery. If you’d like to know more, you can read up on TOMS new “One for One” mission on their website. The 101 and 301 sunglasses are available in both men’s and women’s styles, while the 201 style is made exclusively for women. The eyewear is available in a variety of colors and each pair has a set of hand-painted stripes, which are meant to represent the giver, the recipient and TOMS. The sunglasses are available online or at select retailers. 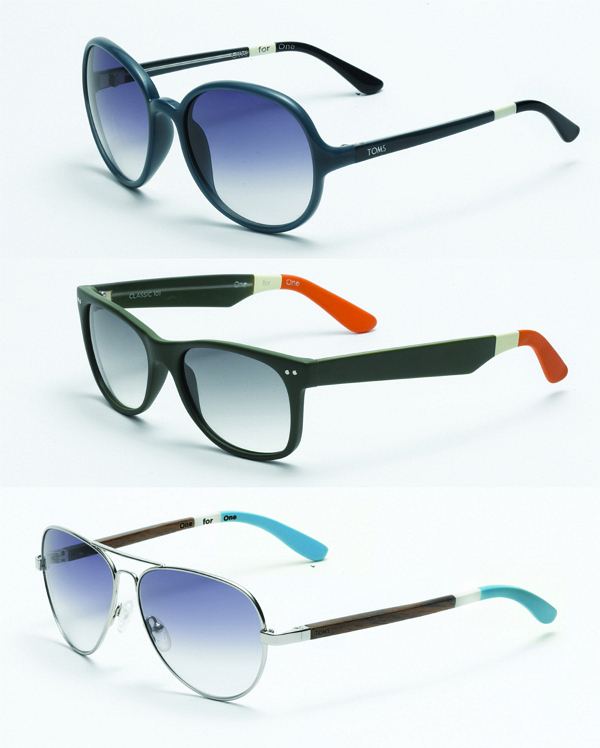 What do you think of TOMS new eyewear line? Do you like the styles? Would you consider buying a pair? Let us know your thoughts by leaving a comment!